Angel Wings Pendant & 18" Chain Only $2.90 Plus FREE Shipping! You are here: Home / Great Deals / Amazon Deals / Angel Wings Pendant & 18″ Chain Only $2.99 Plus FREE Shipping! Angel Wings Pendant & 18″ Chain Only $2.99 Plus FREE Shipping! 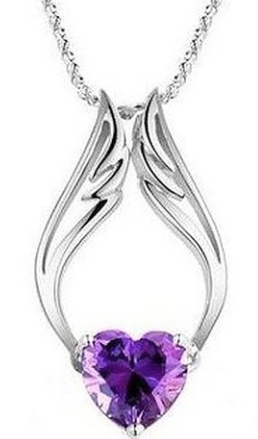 This fashion pendant with purple stone heart is surrounded by angel wings! Get the Angel Wings Pendant & 18″ Chain for Only $2.99 Plus FREE Shipping! This would make a perfect gift!